John Alexander Cameron was a member of Phoenix Lodge No. 8. He was a prominent lawyer and a member of the Fayetteville Bar. 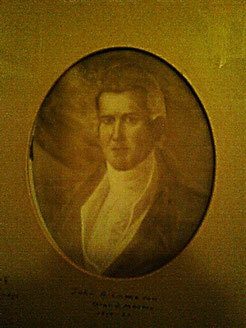 He served as a member of the North Carolina State House of Commons from 1810-1812 and again in 1820. He later served as Consul to Vera Cruz, Mexico, and as a Federal Judge in the State of Florida. Cameron perished in the sinking of the steamer Pulaski on 14 June 1838, on a passage between Savannah and Charleston. He was a fine writer, accomplished gentleman, and left several children.